This listing is an offer for 1 x Pond Klear, 1 x Sludge Klear and 1x Nitrate Klear. 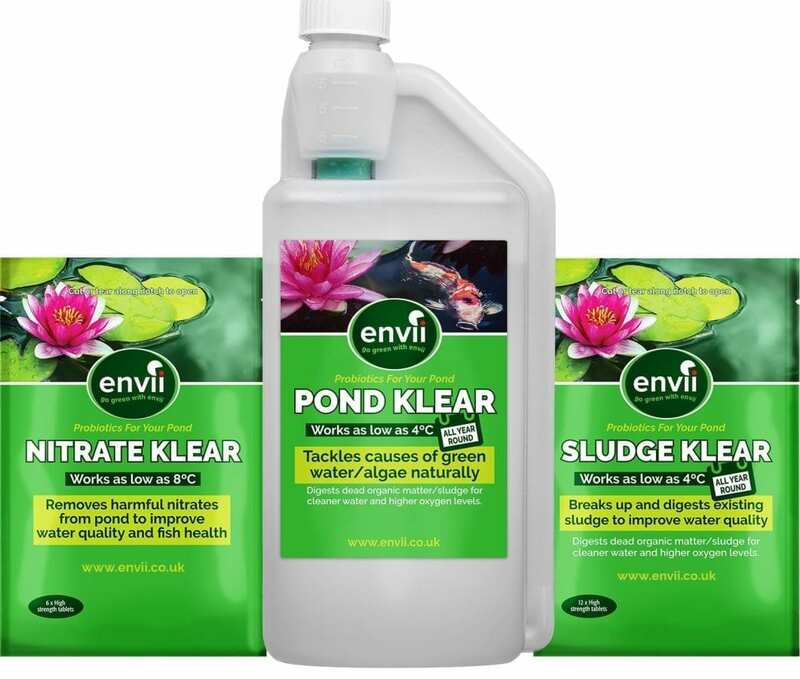 When used together these products will clear green water, sludge and algae from any Koi or garden pond. All of these products work in very low temperatures which means they can be used in winter to ensure clear water all year round. Save £9.98 by buying the annual pond treatment pack! 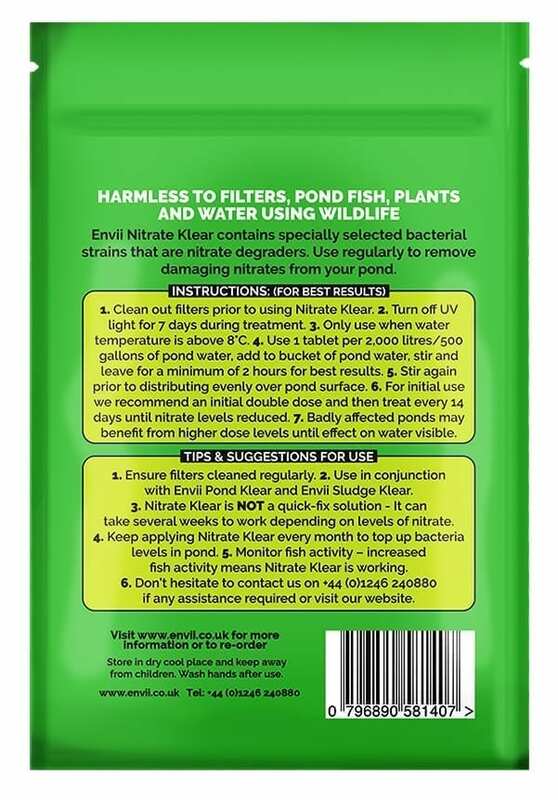 Use all three products together on a regular basis to tackle every common problem that occurs in ponds. Is this safe for my fish? Yes. All three products contain only natural ingredients that have been derived from natural sources. Should these products be used all of the time? 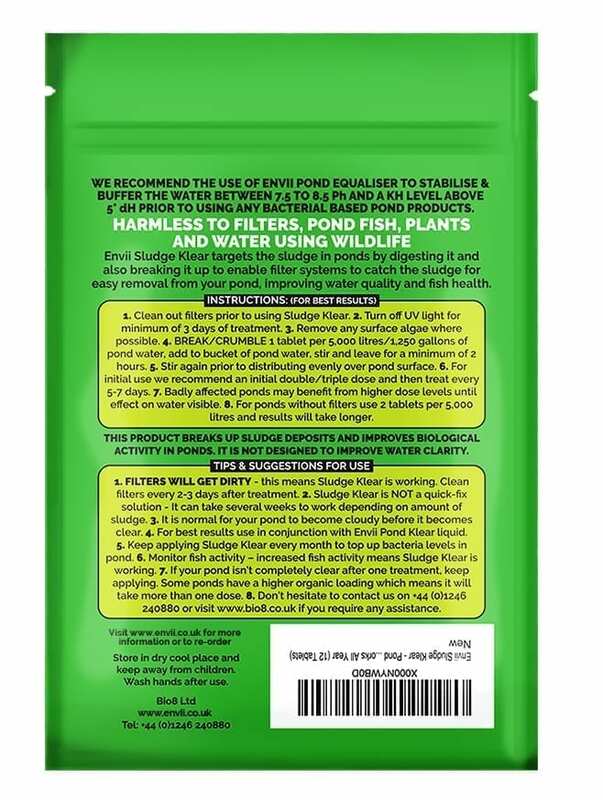 This pack treats several problems and for ongoing maintenance, we would recommend just using Pond Klear. Will these products work if I don't have a filter? Yes. All of our products work with or without filters, filters just speed up the clearing process.